South Florida’s hottest asset class may finally be cooling down. Vacancy rates increased and rental rates decreased for industrial properties in some parts of South Florida in the first quarter, according to a recent report from Colliers International South Florida. Some experts project that the industrial market is due for a correction after prices have skyrocketed and inventory has soared. While many segments of South Florida’s market have slowed down, such as the residential condo market, industrial properties’ prices continued to rise in the last few years due to the rise of e-commerce and the area’s proximity to Latin America. In Miami-Dade County vacancy rates for industrial properties rose to 4 percent, up 0.1 percent from the fourth quarter of 2018. Rents decreased to $9.47 from $9.70 during the first quarter of 2018, due to an increase in warehouses being delivered, according to the report. In Broward County, 611,771 square feet of new space was delivered in the first quarter which raised the vacancy rate to 4.1 percent, a 0.6 percent increase from the previous quarter. Rental rates rose to $8.70 percent, an increase from $8.30 from the first quarter of 2018. In Palm Beach County, vacancy rates rose to 3.6 percent, an increase from 3 percent in fourth quarter of the previous year. Institutional firms such as Blackstone and Cabot Properties are increasingly buying warehouses and industrial properties across the area, according to the report. This is especially true in places where land is still available to build for large scale development such as Pompano Beach and Weston. Less than a month ago in March, Cabot Properties bought two warehouses totaling 438,331 square feet in Weston for $63 million or $143 per square foot. Industrial prices have risen, in part due to land scarcity. South Florida has limited developable land left because of its location between the Atlantic Ocean and the Everglades. 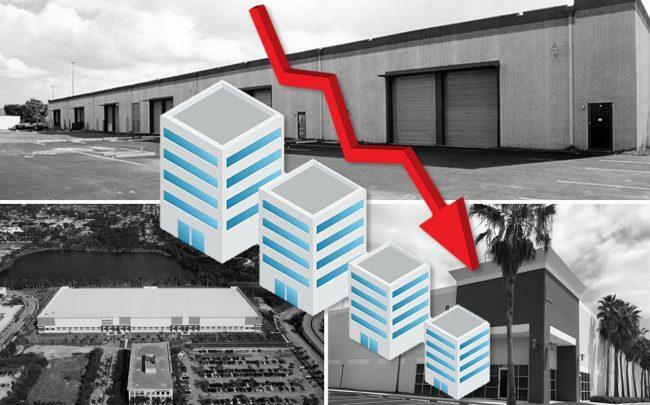 Industrial developers also said another challenge is increased competition from commercial builders that are paying top dollar for sites ripe for redevelopment, according to a recent report from Commercial Industrial Association of South Florida. For instance, the CIASF report highlighted the $40.3 million that a joint venture between Terra and Terranova Corp. paid for PepsiCo’s regional headquarters and distribution center in Doral in January of last year.